We are currently investigating lighting issues with this build. Consider it solved soon. 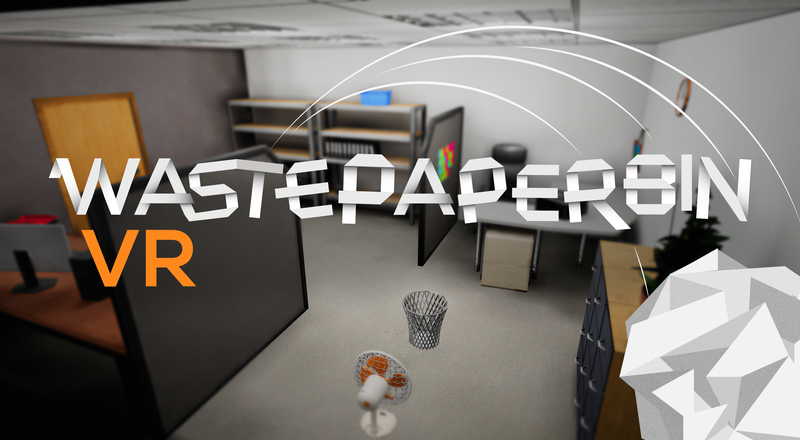 We have been concentrating on "Cook for the Giant (VR)" alot lately, but now, finally, a long-awaited update for Wastepaperbin VR! WPB being our first Unreal Engine game, we made a couple of mistakes, that we now ironed out in a big overhaul of the code. Boy, that took a while. I hope it was worth the wait, since here we present to you a whole new game mode — the "Challenge Mode" — which allows you to play a level again and again (without restarts when you fail!). Especially valuable for training the leaderboard mode levels without having to restart every time. Brand new "Challenge Mode" with 30 levels!